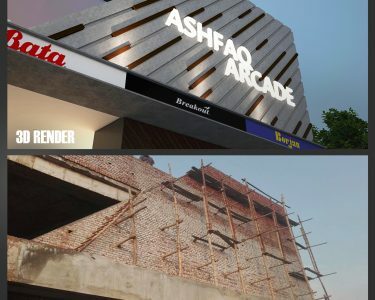 The 20,000 square feet shopping mall was set in Kot Abdul Malik, on the boundaries of Lahore, in a highly commercial area, and the mall itself has been built in perfect harmony with nature.This is a work of Archi-cubes, an Architecture Firm which has one of the Best Architects in Lahore. The design concept combines the ease and simplicity of the contemporary modern style with rough concrete, wood and stone textures. 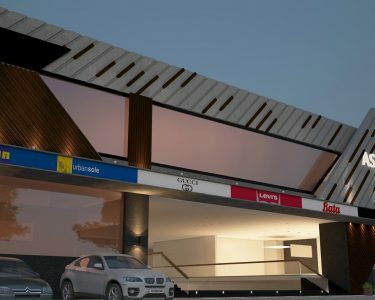 Considering the lifestyle of the local residents, they designed a comfortable shopping space with simple shapes and lines, with modern, industrial and traditional elements, first considering the layout of the interiors and then adopting to the outside. With its simple shape, it is quietly situated in a flat, natural setting with a great panoramic view of the surrounding areas. The shops in the mall are very spacious, with high ceilings and particular attention paid to quality of the materials everywhere. The bright interior is a mix of contemporary and modern. 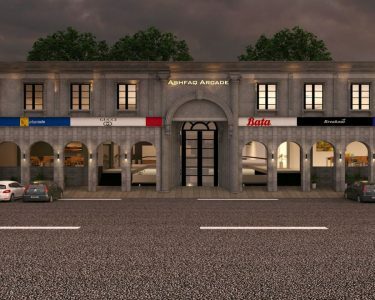 The big doors and huge openings of the shops are perfect for shopping with ease. The fair faced concrete wall, the first thing in façade that confronts the visitor, is seen fairly far from the building due to its relatively massive size. The concrete wall contains 3” grooves throughout the 120 feet wide façade. Within the grooves are diagonal slatted lacquered steel panels of 6”x6” size, randomly lined to the concrete face of the walls complementing the hexagonal steel profile on the left side of the façade. The program of the shopping mall was designed in a rectangular plan, slitting diagonally into the ground giving the shape of a prism. 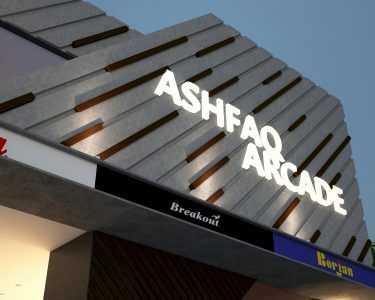 The entrance lobby traverses the building and breaks it into two equal blocks, lined with spacious shops on each side of basement and on the ground floor. 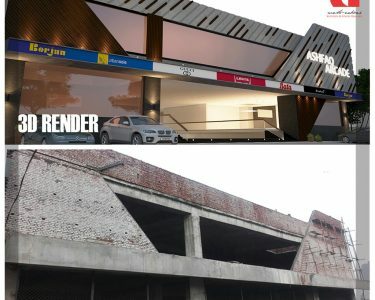 On the first floor, the program includes a capacious lobby and a spacious high-ceilinged wedding hall, Archi-cubes, well known for its Best Interior Designer in Lahore, also carried the interior design for the client. 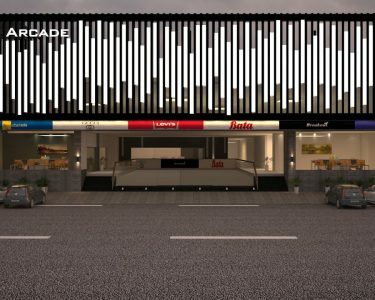 The staircase is layered with black granite marble with geometrical patterns of charcoal grey and beige colored granite tiles on floor complemented the overall modern line concepts of the mall.